Weighty Matters: The American Diabetes Association Wants Video Games in Your Kids' School Gyms? The American Diabetes Association Wants Video Games in Your Kids' School Gyms? A waste of a perfectly good gym? 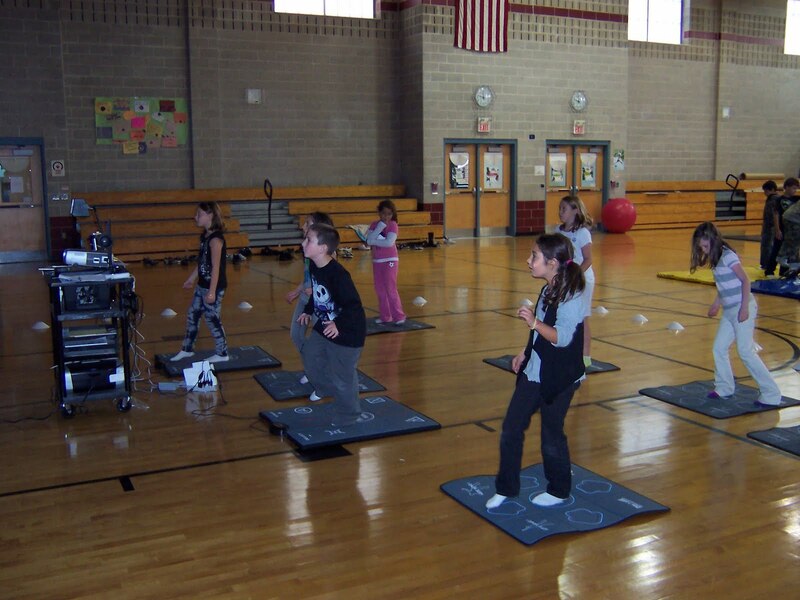 Last week saw a press release from Konami bragging about the involvement of the American Diabetic Association in bringing their exergame Dance, Dance, Revolution to schools across the United States. "We look forward to the impact the new classroom edition can offer schools to help keep children in the healthy fitness zone for BMIs." Putting aside the fact that I don't actually understand what a "healthy fitness zone for BMIs" is, let's just assume Ms. Baumann was suggesting that kids can Dance, Dance their way to lighter weights. So does Dance, Dance, Revolution actually burn a great many calories? Looking to the medical literature helps. Check out this graph that came from a study published in the journal Pediatrics. It's of the measured energy expenditure of kids at rest and playing Dance, Dance, Revolution. Looks awesome right, kids playing DDR were expending more than double the calories expended at rest. But wait, that's a strange way to report energy expenditure, isn't it? Usually energy expenditure is reported as calories burned per hour of activity, why not here? Because reporting it as a function of energy burned at rest is the only way to make this study sound interesting. When you actually crunch the study's numbers you'll find that DDR helps to burn an additional 91 calories/hr. That's less than half the calories you'd burn leisurely walking, let alone actually running around and playing some sort of sport in a gymnasium. While I've got nothing against exer-gaming, suggesting that it will provide any sort of health benefit, be it weight management, diabetes prevention, or heart health, is more than just wrong and a gross misrepresentation of the medical literature, it's irresponsible. 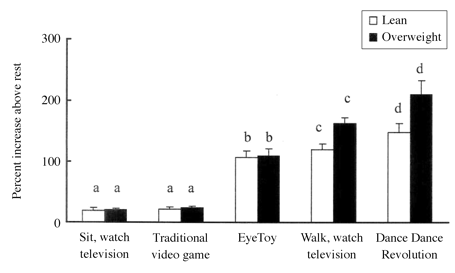 Unfortunately, at this stage of exer-gaming's evolution, they are much more game than they are exercise, and teaching kids, their parents and their educators otherwise, while understandable from video-game developer Konami, is inexcusable from the American Diabetes Association, as this is the exact sort of misinformation that might preclude actually healthy initiatives from being rolled out in schools.